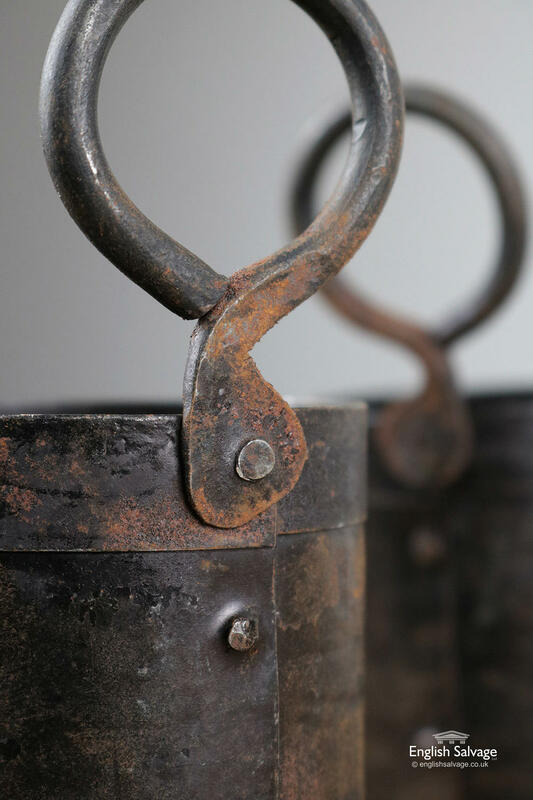 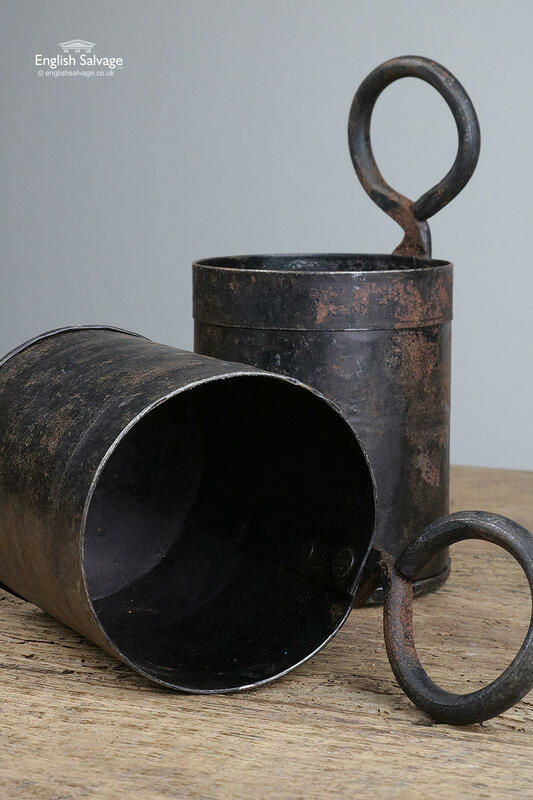 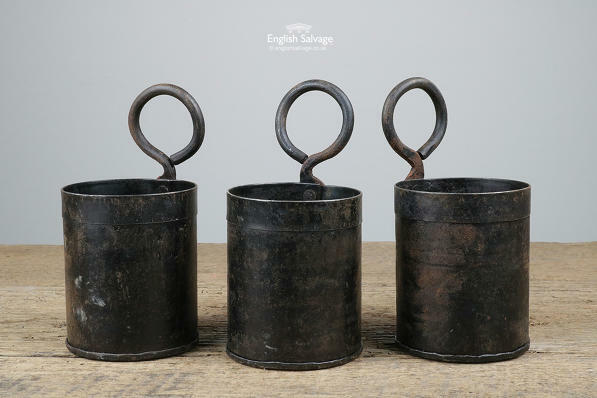 Reclaimed single iron Thali pots. Maximum size of each below, the height of each pot excluding handle is 11cm. 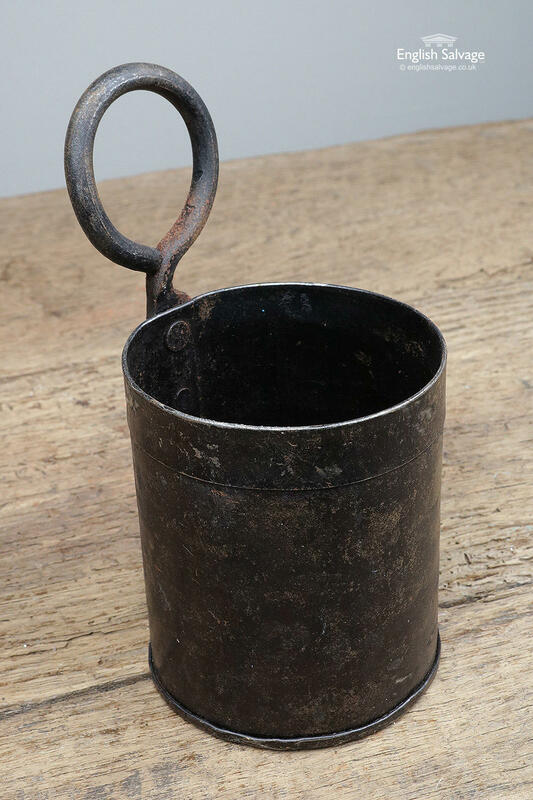 Would make lovely small plant pots or desk tidies.